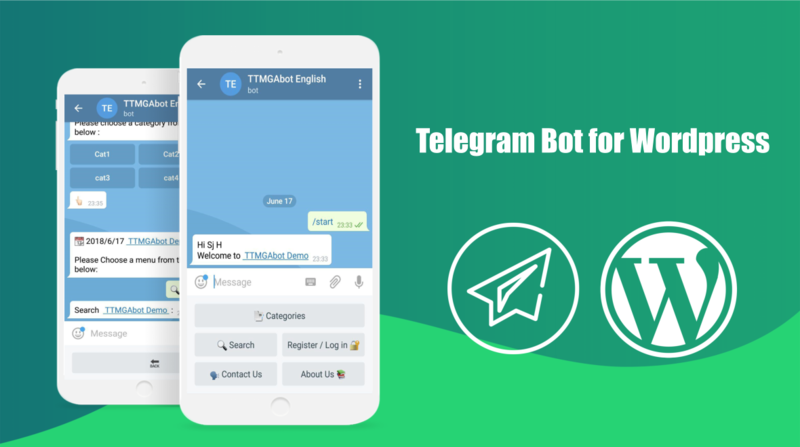 WordPress Telegram Bot Plugin is a multipurpose plugin to create a telegram bot for the WordPress site. Through the countless capabilities of WordPress and Telegram bot, you will be able to make your website content searchable and observable for users. After activating the plugin and creating the bot and connecting the bot and website through the plugin setting section, the Telegram Hook is connected to your WordPress site database and through Telegram Bot, all contents of your website are accessible by the users... Any person who enters your telegram bot, through the category menu will be able to search your site content by category. Then he can study posts and information on bot… Also, if you enable access for view and add-comments options for a single post by WordPress settings, the user will be able to view all the available comments for that post or even add a new comment. Users are also able to use the search menu in the bot and search the given item by keyword. In the log-in /sign-up section of the bot, the user, through entering his/her email address, will be able to connect the user panel (available in site) to the bot. Consequently, if the email address entered in the bot was already registered in the site, the bot requests the password, and if the entered password is correct, the person can log in the user's panel and in fact log in the site by the bot. If the entered email is not already available in the site, the user is registered in the site and logged in by bot… After login, the user will be able to edit his/her profile and activate the notification section of his panel... By activating the notification, all the emails sent to the user will be also sent to the person's telegram account. Through adding the post section (if enabled) all bot users will be able to play the role of author for your site, and send their posts and comments to you… All posts after submission by the user is also sent to manager of the website and the manager can share the comments in the site after the approval. This feature can only be enabled for site administrators / authors and the normal site users can be denied access (by the plugin settings panel). The bot menu has a contact us section that user, by this section like the contact with us form, the users can send their requests for you. The webmaster (if he likes) can enter the online chat with the user who sent the contact form. About Us section in the bot, which can be edited from the plugin setting panel, can also be used to introduce your site and bot. Another feature of the plugin is forwarding posts and comments to the channel and the bot users ... This section of plugin works like the plugin of telegram for wp (written by Amir Moosavi)... 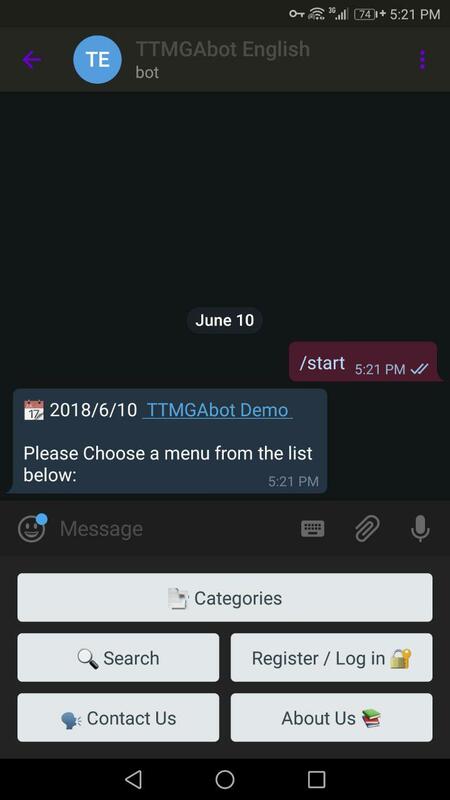 So that through adding your own bot to the telegram channel, you will be able to display the information that you sent in the site, in your own channel as well as customize your message structure. By choosing options like sending to the channel or sending to users for each post, you can specify that in which section, this post should be displayed. It should be noted that the message structure of all two sections can be edited by the settings panel. The bot has a management section specific for the site manager that is activates by sending bot token for the bot itself. The webmaster can manage his website through this bot, enable notifications and write new posts on his site and display them.